We look back at a close week of fantasy action. The NA LCS came to thrilling conclusion for its regular season this weekend. Six teams finished within one game of the league’s top spot, leading to almost an entire day of bonus League action with a slew of tie breakers. Tie breakers don’t count for fantasy scoring, but that doesn’t mean there wasn’t all sorts of fantasy implications on a weekend filled with upsets and drama. We take a look at our fantasy picks to learn from our mistakes and build a better fantasy winner. Saturday proved a rough an unpredictable one for fantasy scoring, with most games hard-fought and low scoring affairs as every team angled for playoff position. No one team or player truly posted a stand-out performance, meaning that fantasy victory came from building a solid roster of value selections. The slumping Echo Fox had the best fantasy matchup on the day, if you can call Flyquest that, and they delivered, despite starting substitute mid and support players. Johnny “Altec” Ru and Heo “Huni” Seung Hoon were the top two scoring players on the day with 85.18 and 80.84 points respectively. The team that didn’t take advantage of a big matchup was TSM, who, while they took care of business against Golden Guardians, did so in a relatively low-scoring way. 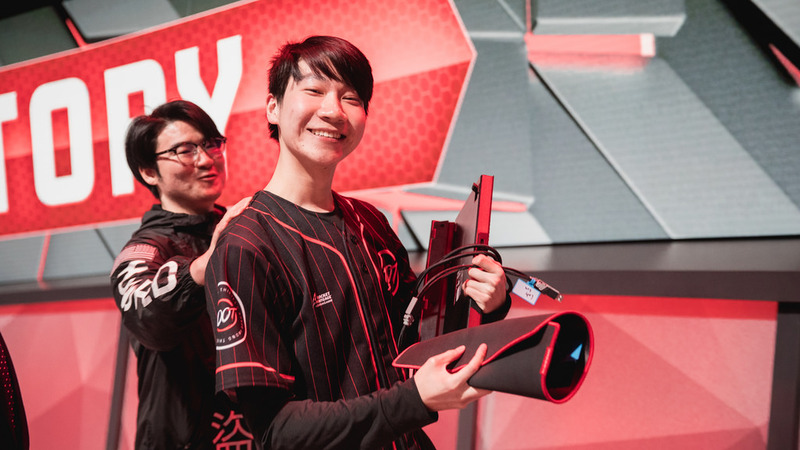 We called the 100 Thieves and Clutch Gaming battle as a low scoring one, and it was—but some 100 Thieves performers, in particular top laner Kim “Ssumday” Chan-ho, came out with strong fantasy showings. Our one real miss of the day, though, was avoiding Team Liquid, who pulled off an impressive win against a tough Cloud9 squad and made big fantasy showings out of it. Three Team Liquid players ranked in the top seven scorers on Saturday. CLG’s playoff hopes went up in smoke before they even played their match against OpTic Gaming, and they smashed into the Green Wall like their train wreck of a season. Darshan only posted 17.26 points, a poor fantasy choice by us. Echo Fox had a big day, though Dardoch was uncharacteristically uninvolved in the action. Still, the jungler posted 66.24 points, the second ranked play at his position. A strong selection. Bjergsen is the perennial fantasy MVP and he delivered again in a prime matchup against Golden Guardians. His 73.12 points ranked second among mid laners and ninth overall on the day, a solid captain pick. One of the league’s hottest ADCs continued to perform, putting up 70.44 points in a solid win over Clutch Gaming. This one was a miss for us. The Thieves stole any chance Hakuho had at a solid fantasy day as he posted a palty 11.71 points. The NA LCS produced five bonus games—an entire day of play—on Sunday, a huge slate of tie breakers to sort four 11-7 teams into neat playoff seedings. Only the real matches mattered for fantasy, though. The final week of the season produced a couple trends over Saturday and Sunday. TSM and 100 Thieves performed while Cloud9 disappointed. Cloud9 should have had a great matchup against Flyquest on Sunday, but they let Flyquest walk over them. TSM took advantage of a decent matchup against CLG. And 100 Thieves had a tough match against Echo Fox, but pulled through with a strong win. Starting Echo Fox and Cloud9 hurt big for us on Sunday. The two teams that used to sit atop the standings suffering precipitous falls. But we hit on Clutch Gaming, who produced the top scorer on the day, mid laner Fabian “Febiven” Diepstraten, with 96.83 points. Still, much like Saturday, the results in NA produced a mess of fantasy scores split between the winning teams. Consistent fantasy performers like Bjergsen, Cody Sun, and Peter “Doublelift” Peng put up big numbers, while some of their teammates only put up average tallies. This meant that building a fantasy winner wasn’t just about stacking the best matchup. The league leader in KDA at his position put up 78.67 points on Sunday. That seems respectable but only ranks fourth at his position. Still, you could have done a lot worse than Solo. Bad recommendation by us. We bet big on Cloud9 in what should have been a convincing win over the team that gave up the most fantasy points through eight weeks of the regular season, but Cloud9 faltered. None of them posted even 20 points this week. Last week’s fantasy MVP didn’t even post double digits in their loss to TSM. Having their playoff aspirations taken out of their own hands on Friday really took the wind out of CLG’s sails this week. Sitting Hakuho on Friday and starting him on Sunday proved to be a prescient pick by us this week. After a poor result in Saturday’s loss Hakuho bounced back with 84.23 points on Sunday, the top ranked support and ninth ranked player overall. The final week of the NA LCS proved an exciting one as all six playoff teams looked strong enough to compete for the league title when playoffs begin next week. For fantasy it was an exciting slate of results that showcased how fantasy should be played: Starting players not only because they’re on winning teams, but also because they produce consistent results. This week’s fantasy contest winners did so because they picked the right players on multiple teams, not just because they stacked their lineup with, say, Fnatic or 100 Thieves. A lot of people slept on Team Liquid entering week 9, but they proved to be one of the league’s top performers with impressive wins over Cloud9 and OpTic Gaming. 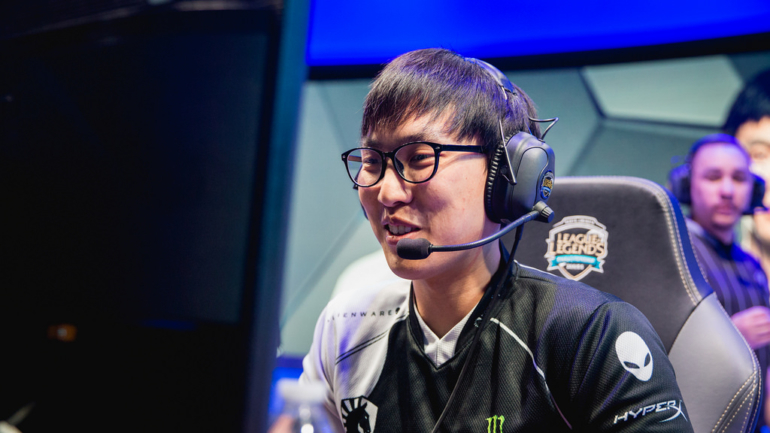 Leading the way was Doublelift, one of the league’s superstar veterans. Doublelift combined for a 14/0/15 KDA this week, not surrendering even a single death as he lead his team into a playoff position. For fantasy he ranked sixth and second overall on Saturday and Sunday, combining for 162.61 points on the week. The mighty Meteos remains criminally underrated by Skrilla’s fantasy algorithm. 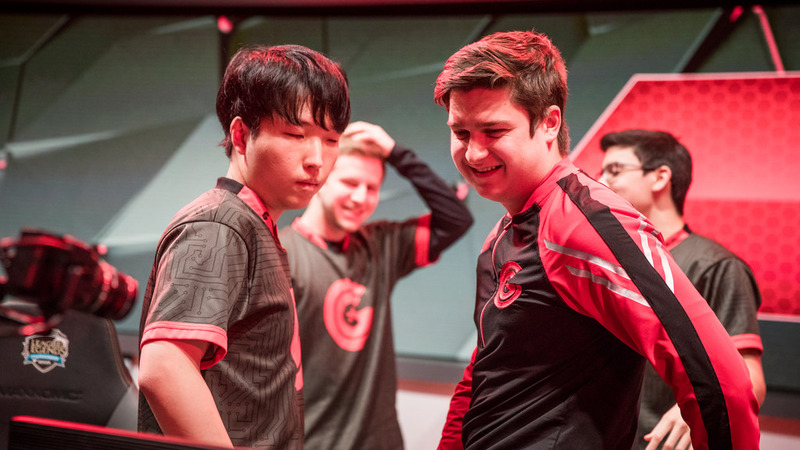 One of the primary impetus for 100 Thieves’ impressive run to the top of the table is Meteos’ jungle play, and this week was no exception. While Saturday wasn’t a huge showing at 67.8 points, on Sunday Meteos was huge with 85.2, a top ten overall showing and second at the jungle position.